During the past few weeks, I received a sweet little package from Yasina, over at Glitter Dust and Damasq, and in it contained 2 items that have changed my scarf-wearing life forever – seriously! So before these 2 accessories made their way into my life, I really was content. I was quite happy and figured that the only things that I require for my scarf to look great was a few straight pins, a scarf pin, a hairband and a headband – and boy was I wrong! When I first ripped open the package, the first thing I noticed – besides the little note from Yasina – was this black balaclava-type of underscarf. After trying it on, and of course after managing to calm myself down from laughing hysterically due to how weird and criminal-like I looked, I realised how amazing this product really is! As you can see from the image above, the Complete Coverup or the Ninja Underscarf provides full coverage for your neck, ears and forehead! You obvi can determine how much of your forehead you want to be covered, by pulling the underscarf back or bringing it forward. But what I like most about the underscarf, is that fact that it doesn’t squash my ears or give me that ‘tight’ feeling around my head. The fabric that the underscarf is made from is rather soft, allowing your head and ears to ‘breathe’ whilst wearing it. What’s also great is that there is enough fabric at the back of the underscarf which ensures that the back of your head and neck is always covered, whether your hair is in high pony, low or high bun or in a donut-bun! These underscarves are particularly great if you a wearing a snood/infinity scarf. 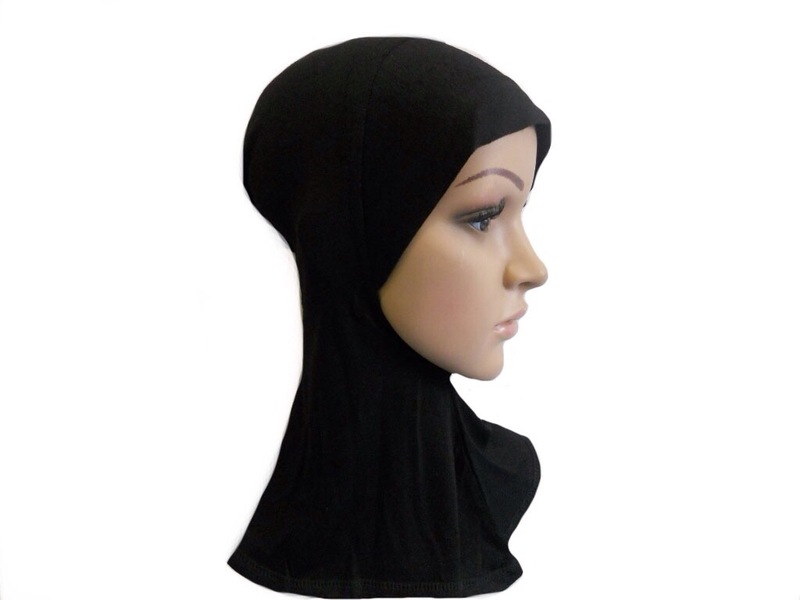 Usually with those scarves, the neck area is always left uncovered, but with this little amazing invention you can now ensure that it’s always covered! Plus, they are available in over 20 colours which means you can buy one to match every one of your scarves! Okay, so like enough about the Complete Coverup, let me tell you about the Hair Donut! The Hair Donut has been on the market for about a year or so now, but I never ever thought to wear it under my scarf! My hair is really long so it’s always in a bun and I never thought that the Donut will even fit my hair due to it’s length. But after playing around with the Donut for a while, and totally ignoring the instructions that it came with, I found a way to use it, that didn’t take much time but still secured my hair for the whole day. 4) secured it with a hairband and then; 5) wrapped the remainder hair around the base of the Donut and secured with a bobby pin! What I love about the Hair Donut, is the adequate volume and smooth look it gives my scarf. 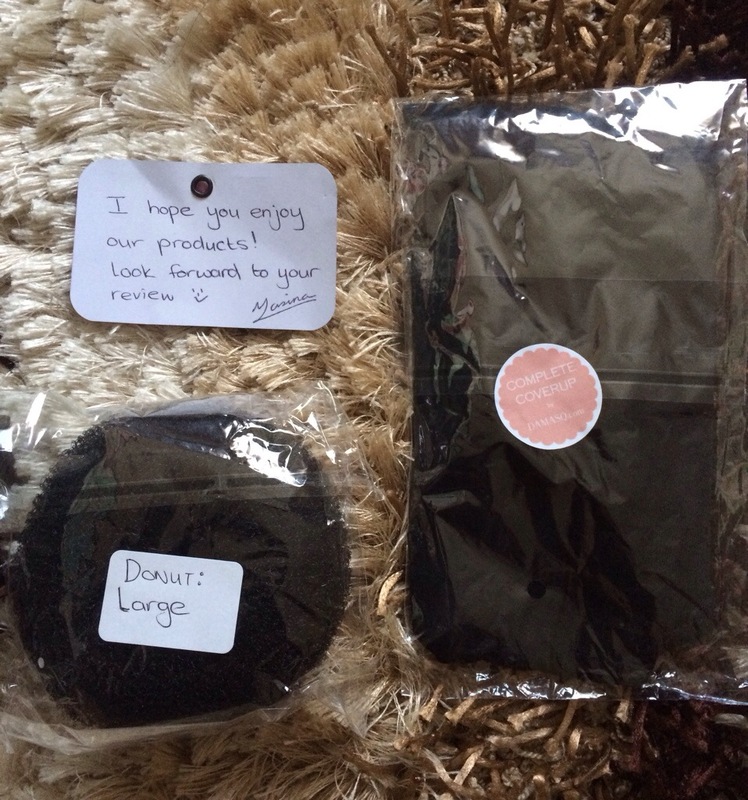 I will never wear those camel-hump flower clips under my scarf, as they are just too big and make me look as if I’ve got a growth at the back of my head, so the Hair Donut is a great substitute as it does look more natural and normal :). I’ve been using the Complete Coverup (which has to be washed after 2 uses, you don’t want a build-up of bacteria, now do you?) and the Hair Donut everyday to campus and ever since, I’ve never had to to endure the awkwardness and frustration of removing my scarf to retie my hair or my scarf! My average day on campus is about 6 hours, so that’s how long it holds for. I’ve never tried using it for more than 6 hours though, so perhaps it might even hold longer! I simply love these 2 accessories and when used together they create some kind of magic – seriously! If you’d like to purchase these amazing little dinge, you can find the Complete Coverup (R60) here and here and the Large Donut (R20) here. Here’s to fully covered necks and naturally-smooth hairbuns! Totally agreed! The Donut really is thee best 😀 and yup the Complete Coverup is perfect for turbans – even for cold days in which you want to keep warm!